Wondering what to bring with you to Memphis? Well, here's a short list of some items not to forget. We're also going to start a new PIDT tradition — a baseball cap exchange. 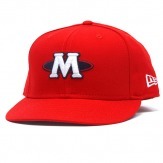 So, be sure to bring with you a baseball cap from your university or local professional team (like the Memphis Grizzlies or the Memphis Redbirds), and we'll have an opportunity for you to trade with others to get a cool one to take home. You can trade once, twice, three times — or even barter goods and services to get the cap you want.